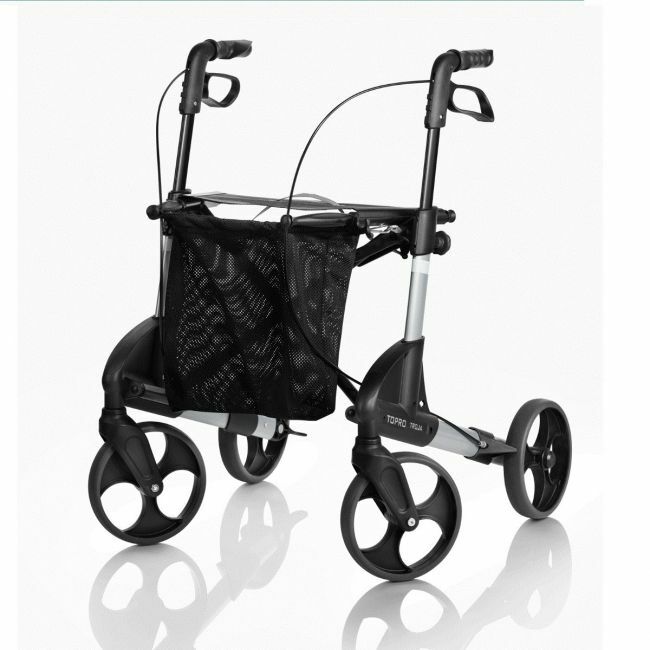 An award-winning rollator designed to make everyday life easier and more convenient. This award-winning rollator is manufactured in Norway to the highest specification for comfort, manoeuvrability and storage. The Norwegian rollator is easy to operate and manoeuvre, and can be folded together by using only one finger. Even when the Topro Troja is folded it stands firm on four wheels and takes little space. The Topro Troja was elected as “Best in Test” by the German test institute “Stiftung Warentest” September 2005, in competition with 14 other rollators. (the largest consumer test in Europe). It has also been awarded in Norway for its innovative design.